The original Canberra Centre was built as part of the Australian capital’s Modernist Masterplan and is located across the city’s key axis – Ainslie Avenue. This Avenue has been further strengthened through luxury materials. 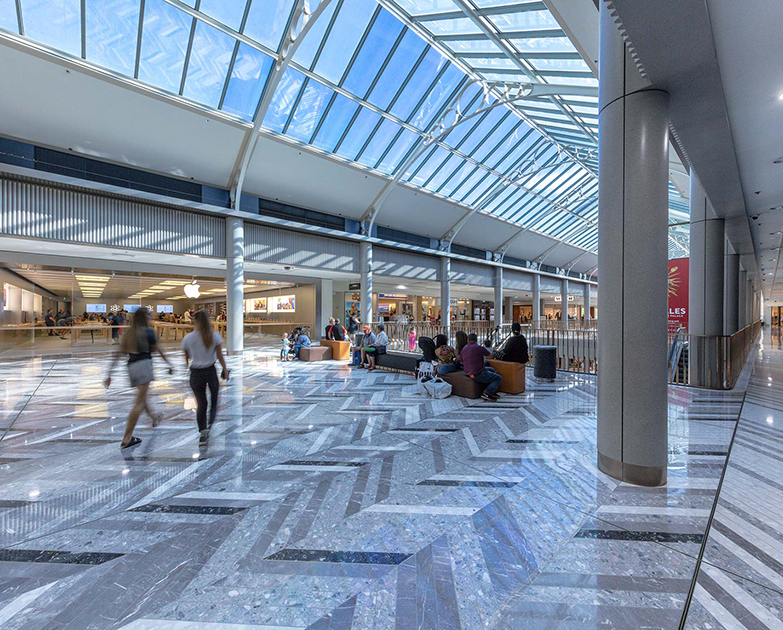 Designed in association with Universal Design Studio, the project maintains the mall’s significance within the public realm while providing 3,500 sqm of retail and public space across two floors. 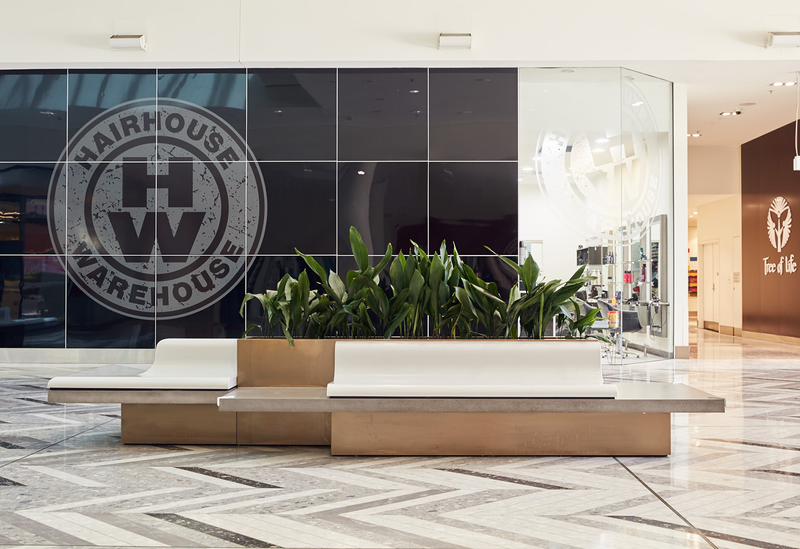 Key features include the new tapered chevron marble and terrazzo floors and custom bronze balustrades, while new bulkheads, spandrels and column cladding combine with new shopfronts, vertical circulation, seating and planting to provide a contemporary new retail experience. 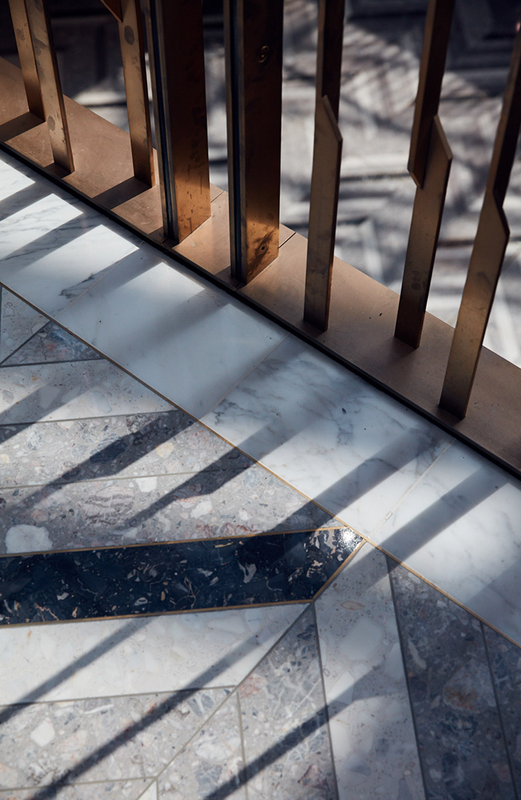 The design is focused around a complex geometric floor pattern to provide a unique finish that appears random and intriguing. 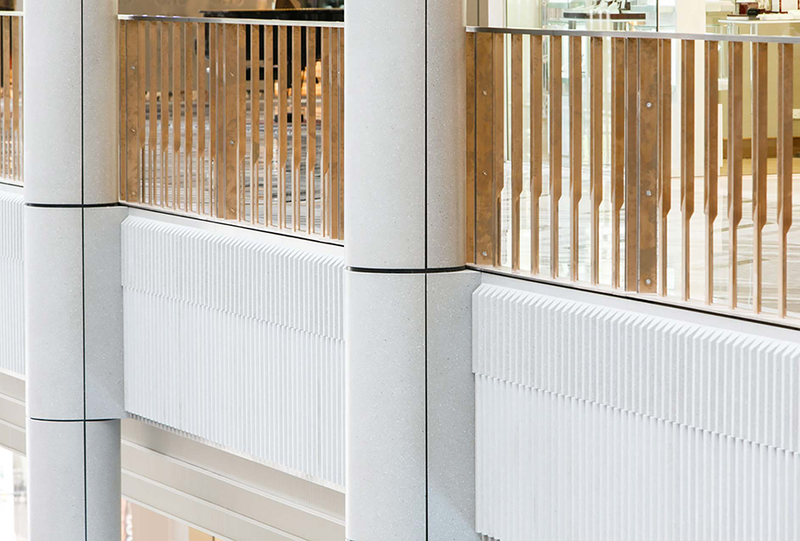 The offset tapered handmade bronze balustrade and fluted concrete finish spandrels in the vertical plane complement the horizontal chevron pattern evident within flooring. 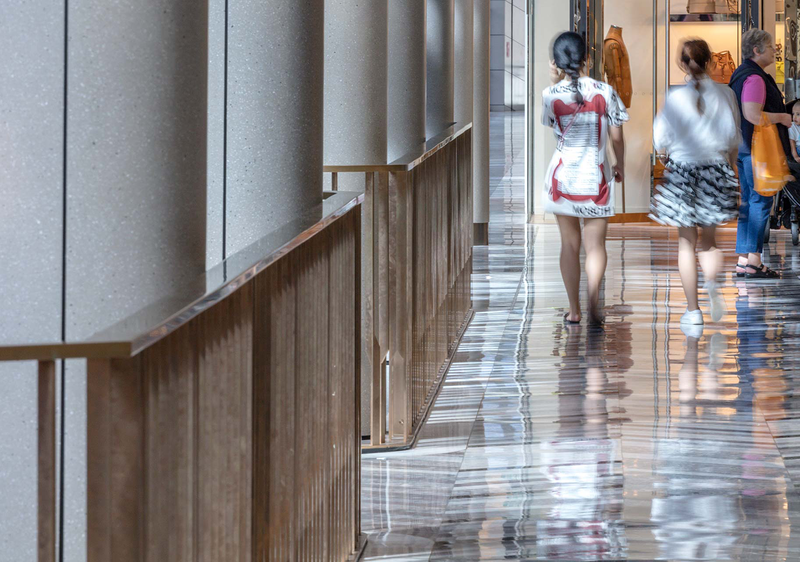 The use of this high quality and rich palette of custom finishes provides a warmth and sophistication within the arcade.